Each year the Naples Senior Center at JFCS holds “An Evening for Better Tomorrows”, a fundraising event to support the center’s programs and services. The lively event raises funds critical to providing Greater Naples seniors and families with the tools and resources they need to thrive. 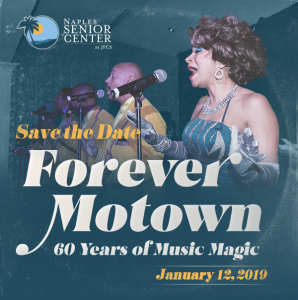 We hope you’ll join us at our next event, “Forever Motown” celebrating 60 years of music magic. The 2019 event falls on the same day as the 60th anniversary of the founding of Motown Records. Guests will enjoy a performance by Shadows of the 60’s, a Motown tribute band. Relive the memories of the 2018 gala in the video below.